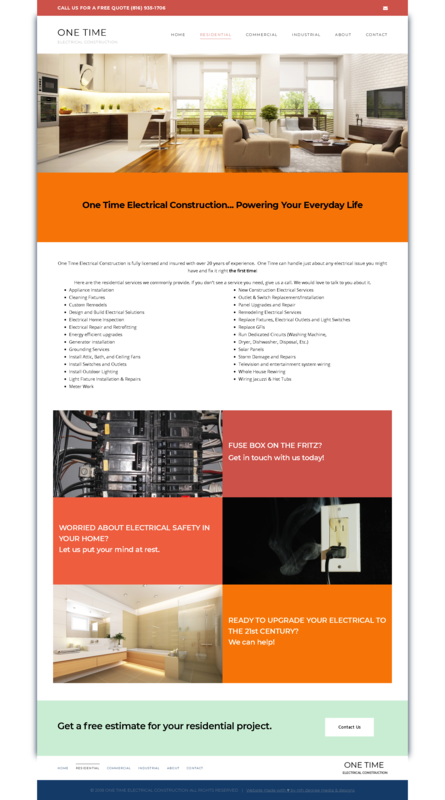 One Time Electrical Construction is a local electrical services company ran by a master electrician. 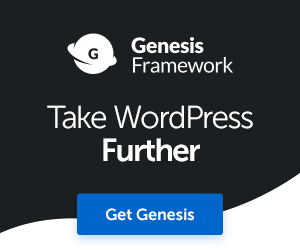 In business for over ten years, the owner wanted to establish an online presence to upgrade his professional reputation and gain more customers. 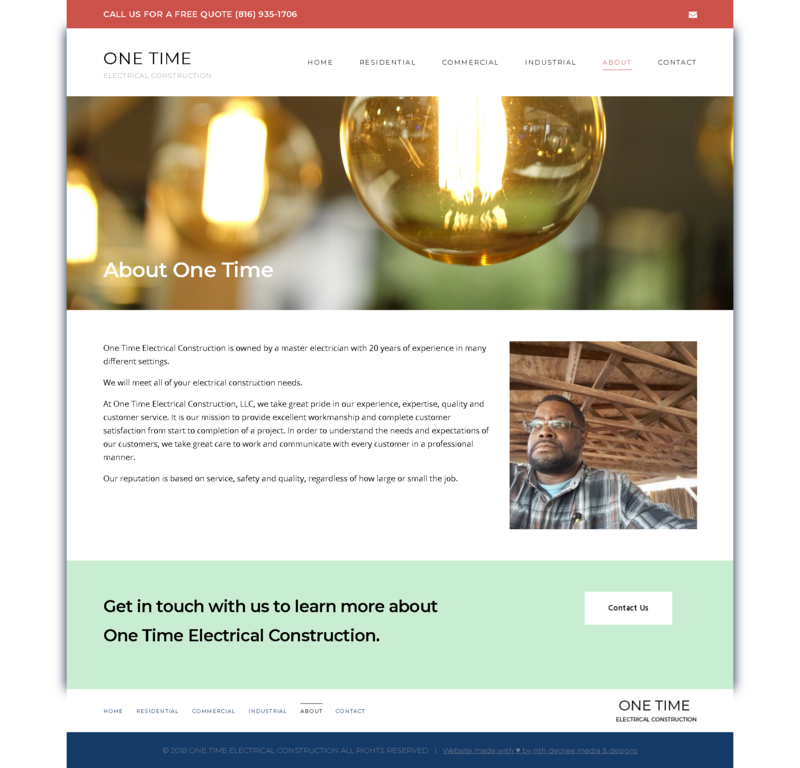 onetimeelectricalkc.com is a perfectly responsive, basic WordPress site which includes pages that highlights One Time's electrical expertise. 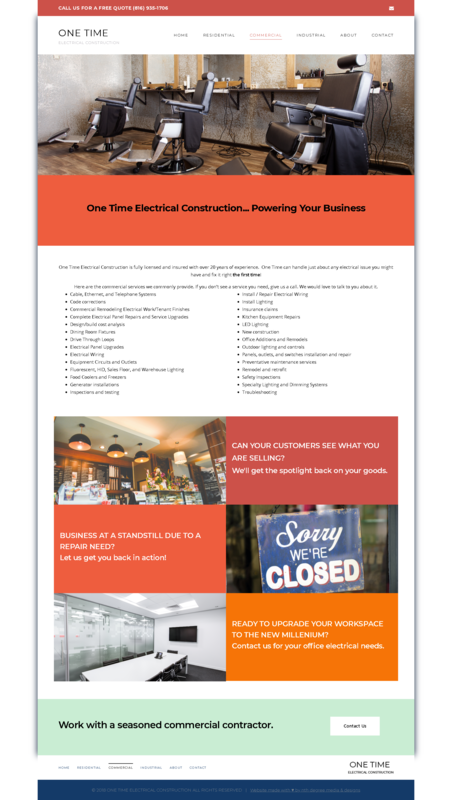 The project also included listing One Time Electrical Construction on Google My Business to increase their chances of being found by potential customers. 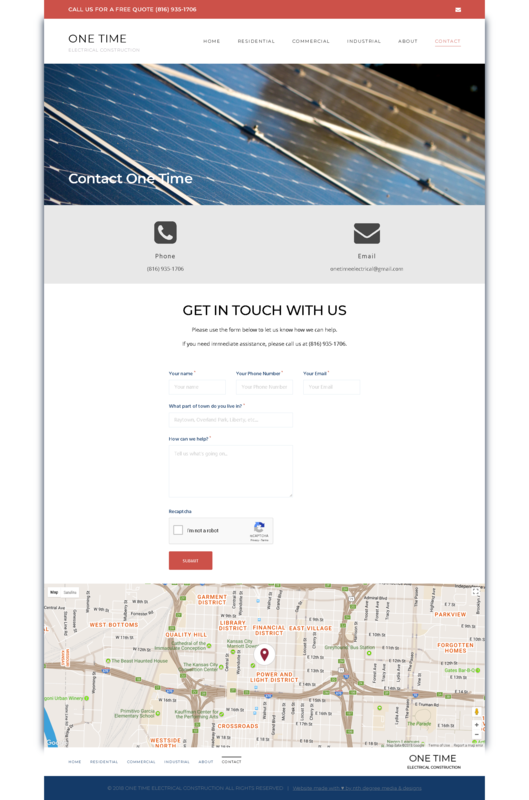 onetimeelectricalkc.com features a timelapse video of downtown Kansas City on the homepage. nth degree media & designs developed all content for the website. 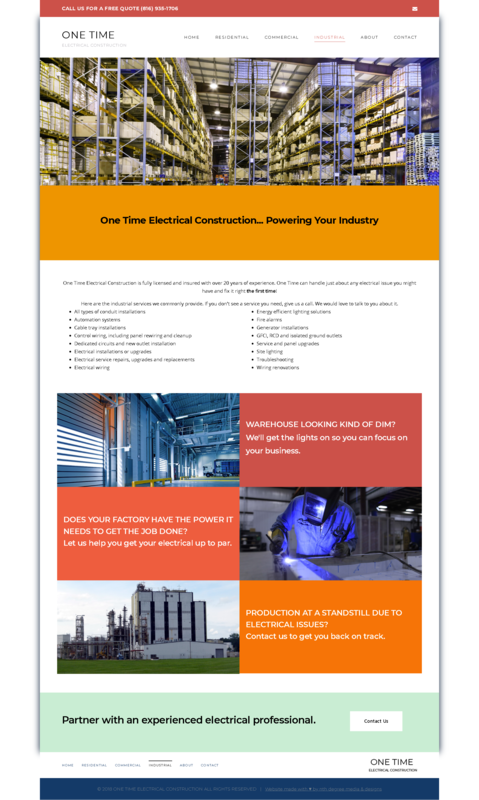 A prime feature of the project included strategic integration of key electrical services terms to boost the company's search engine optimization.